Can the glory days return? Nokia is the latest tech company to suffer from the current economic climate, as it's just announced it'll cut 300 jobs globally and outsource up to another 820 to consultants. The job losses will be in the company's IT operations. 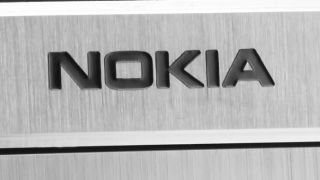 The changes will "increase operational efficiency and reduce operating costs, creating an IT organisation appropriate for Nokia's current size and shape," according to the Finnish phone maker. They're part of the firm's downsizing strategy it announced last June, involving 10,000 job cuts before the end of this year. But Nokia says these are the "last anticipated reductions", so hopefully there won't be any more job losses. The 820 jobs will be outsourced to two Indian companies, while the majority of the 300 redundancies will be workers in the company's Finnish operations. Those made redundant will be offered financial compensation and a support program. Nokia already closed its mobile production plants in Salo in Finland, losing 4,000 jobs, and sold its Espoo headquarters for 170 million euros, leasing it back in an attempt to cut costs. So it's batten the hatches time. The company's fourth quarter of last year was surprisingly good though, with the Lumia and Asha smartphones outselling expectations. So it's not all bad news.